Opera is a free, fast and safe web browser for Windows, Mac OS and Linux platforms, trusted by more than 400 millions users worldwide. 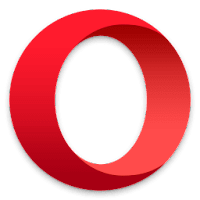 Opera Browser is a based on chromium project (Blink engine) and offer a feature rich alternative to popular browsers such as Chrome, Firefox and Internet Explorer. The browser brings you more speed, more safety and more ways to discover content on the web. It features tabbed browsing, built-in ad blocker (makes content-rich webpages load in Opera up to 90% faster), unlimited free built-in VPN and a lot of cool features. Furthermore, It has more than 1700 available extensions, that let you mix and match additional features to customize the browser the way you want. Disclaimer: Direct downloads for the lastest version of Opera 52.0.2871.64 are provided by the official software's author, we can't guarantee safety, availability or download speed. Moreover, we don't and we won't provide any pirated/illegal versions or tools. We recommend you to avoid it as these methods can harm your device. If you like the software, buy it to support the developers. (We provide software discounts for many worldwide brands).